Circle X Theatre Co. is thrilled to announce the world premiere solo performance, AT SOME POINT IN THE PROCESS OF THE END OF THE WORLD, created by LA Weekly Award-winner for Solo Performance Casey Smith and Jennifer A. Skinner, performed by Casey Smith and directed by Jennifer A. Skinner. AT SOME POINT IN THE PROCESS OF THE END OF THE WORLD will preview tonight, February 20 & Saturday, February 21 at 8pm and will open on Friday, February 27 at 8pm and run on Fridays and Saturdays through Saturday, March 28 at Atwater Village Theatre, 3269 Casitas Ave. in Los Angeles, 90039. The apocalypse is already here (and we're all at fault). The end of the world is revealed through images of media, commerce, and hyper-capitalism in the third solo show from Casey Smith and the team behindViolators Will Be Violated (LA Weekly Best Solo Show) and At Play in the Valley of the Shadow of Chet. **Recommended for people 16 and up. Contains violent, sexual, and bodily humor. AT SOME POINT IN THE PROCESS OF THE END OF THE WORLD uses absurd humor that can seem sophomoric and scatological to explore issues of violence, sexuality, greed, and the disintegration of society. The piece was inspired by the Four Horsemen of the Apocalypse and the Seven Deadly Sins. Smith's work has been honored with the LA Weekly Award for Solo Performance (Violators Will Be Violated, 2010) and was praised by TimeOut New York and other media during the New York Fringe Festival. His work is mostly wordless and uses no props or costumes-just images and Smith's expressive, elastic body. Says Smith, "It can feel like there is no rest, no peace, constant stress, fear, and loss of hope. This sense of alienation and fear was inspiring to me. I want to make people laugh at things that they might normally choose not to talk about or even know how to talk about. I hope the audience foremost is entertained. But, secondly, I hope they experience compassion for themselves and others because they see the absurdity of the cruelty we inflict on each other. People need to remember what it is about being human, humility, shame, fear, love, joy, loss of control, that helps us experience compassion. Apparently, this is very political for me. I had no idea until we had created most of the material." Adds Smith's collaborator, director Jennifer A. Skinner, "It's not that the horsemen are coming. It's that they are here, they are us. At first glance At Some Point seems like a bunch of images strewn together for scatological humor's sake. But that's just a tool to wake you up... Let's laugh at each other. God, please, let us make fun of each other. Let's make fun of your haircut, of your clothes, of your religion, of your abnormalities, of your kids. Let's make fun of everything. We can't stop it but we can make fun of it." Smith's unique performance work engages the audience at a gut level; they are alert and using their imaginations, seeing things in a very personal, imaginative way. CASEY SMITH (Co-Creator/Performer) Originally from Seattle, WA, Casey has been living in Los Angeles for the last 40,000 centuries. As a member of Circle X Theater Co., he appeared in Paul Mullin's Grendel,Jillian Armenante and Alice Dodd's Laura Comstock's Bag Punching Dog, and Tom Jacobson's Sperm. His critically acclaimed show At Play In The Valley Of The Shadow Of Chet received an LA Weekly Award nomination for Solo Performance. His solo show Violators Will Be Violated, directed by Jennifer Skinner, won the 2009 LA Weekly Award for Solo Performance. Violators... performed in the 2010 Hollywood and New York Fringe Festivals and by special invitation at the 2012 XFest Festival of Experimental Theater in Edwardsville, Illinois. He is currently preparing his latest show, also directed by Jennifer Skinner, At Some Point In The Process Of The End Of The World, for an opening in early 2015. Other work in Los Angeles includes Arlecchino in Marivaux's The Triumph of Love (A Small Company and Chautauqua Theatre Alliance), Ike in David Davalos' Darkfall (Sacred Fools), and the Cow in Padraic Duffy's Feet(Sacred Fools). Before leaving Seattle, Casey created a show called Frog1 with Chuck Harper and Jesse Aasheim, which premiered at Sit'n'Spin and was part of artsEdge Festival of Experimentation in the Arts. Other work with Aasheim and Harper includes Christopher Durang's Titanic and Joe Orton's The Erpingham Camp. Casey is a graduate of the University of Washington in Seattle. JENNIFER A. SKINNER (Director and Co-Creator) Originally from New Jersey, Jennifer studied acting at The Neighborhood Playhouse under Sanford Meisner. As an actress, film credits include: "Magic Mike," "Just Lovers," "Restaurant," and "Ten Benny" and for TV she was seen in "Major Crimes". Circle X Theatre acting credits include: Leo Geter's Naked Before God, The Bigger Man by Sam Marks, Workshopby Lee Blessing and performed in her own solo piece, The Green Room. Jennifer is excited to direct Casey Smith again after the success of their first collaboration, "Violators Will Be Violated". AT SOME POINT IN THE PROCESS OF THE END OF THE WORLD is produced by Tim Wright and features the following design team: Video/Projection Design is by Dustin Hughes. Lighting Design is by Andrew M. Lia. Sound Design is by Tim Labor. The Stage Manager is Dena Cerino. 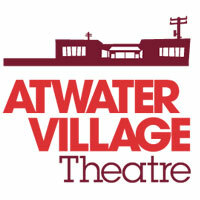 AT SOME POINT IN THE PROCESS OF THE END OF THE WORLD will preview on Friday, February 20 and Saturday, February 21 at 8pm and will open on Friday, February 27 at 8pm and run on Fridays and Saturdays through Saturday, March 28 at Atwater Village Theatre, 3269 Casitas Ave. in Los Angeles, 90039. Free, ample street and lot parking. Parking map: http://bit.ly/OsBCRg. Performances are Fridays and Saturdays at 8pm. Tickets are $20. Previews are Pay-What-You-Can at the door. For tickets, buy online at www.circlextheatre.org.